Holiday edition mailbag from MLB.com’s Nats beat writer Bill Ladson for 12/28/12. As always, I write my response here before reading his, and sometimes edit questions for clarity. 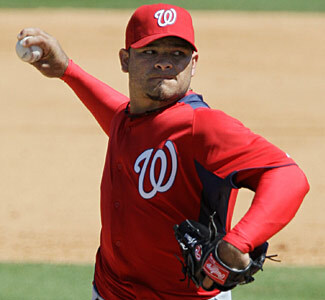 Q: Where does Henry Rodriguez fit in the Nationals’ plan this upcoming season? A: A good question; Mike Rizzo loves Rodriguez but I find him completely frustrating as a fan. In 2011 he led the league in wild pitches despite only throwing 65 innings, and in 2012 he had a -0.7 WAR and a 69 ERA+ before hitting the DL for season ending surgery. He’s got no minor league options and thus has to be either carried on the active roster or be subject to DL shenanigans. Davey Johnson also loves him, and said he was the Nats best pitcher last spring training. My guess is that Rodriguez holds it together for another spring, breaks camp with the team and then plays his way into a DFA. The team can replace his 7th/8th inning innings with Christian Garcia rather easily (assuming of course that the team realizes that Garcia’s arm is too fragile to reliably be depended upon as a starter). Ladson predicts he’ll be a middle reliever for this team in 2013. Q: What are the Nats going to do with first baseman Chris Marrero? A: Great question; he has one more minor league option, is clearly behind the likes of Chad Tracy and Tyler Moore on the first base backup pecking order, but really hasn’t got much left to prove in the minors. He hit admirably enough at AA and AAA in 2010 and 2011. I think Marrero’s problem is that he’s stuck at first base but has limited power capabilities. If he played LF, perhaps you could deal with someone who didn’t look to hit more than a handful of homers at the MLB level. But he plays a position that needs 25-30 homers of production. I think he’s trade bait ultimately. Ladson says the team’s bench is set and that Marrero may be traded. Q: Isn’t it time to make Ross Detwiler the No. 4 starter? 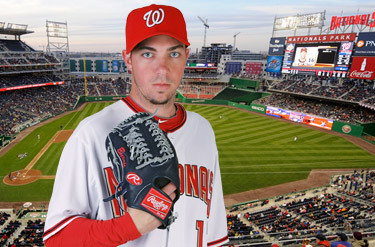 Also, what do you think of Nats’ rotation? A: I’m not exactly sure what the questioner wants; does it really matter if Detwiler is #4 or #5? Not really (not until the playoffs anyway). Detwiler is the 5th starter inarguably on this team, looking at the accomplishments of the 4 other guys. I think the rotation is either the best or competing to be the best in the sport. I’ve got a future post ranking all 30 rotations (I’m more or less waiting for the last of the impact free agents to sign before publishing it), and (teaser) the Nats are in the top 3 without question. However, the Nats rotation is very, very thin. If one of the 5 guys goes down, I really don’t know who is going to step up to make starts. Zach Duke? Ryan Perry? Lets pray for a healthy spring training. Ladson says Detwiler is the 4th starter entering spring training, and that he likes the rotation. Not a very deep answer. Q: Bill Bray was an OK pitcher in his last stint with the Nationals. Do you think he will be anywhere near as good the second time around? A: It all depends on his health. A groin strain and then a back strain cost him more than 100 games last year. Those injuries should be healed up well enough by now; if he was recovering from an arm injury I’d be more worried. He posted a 133 ERA+ in 2011; i don’t see any reason why he couldn’t repeat that performance in 2013. 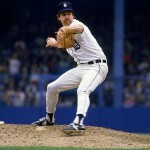 However, I still think the team needs to pursue one more lefty out of the pen. Michael Gonzalez just signed with Milwaukee, meaning that all three of our lefty bullpen guys from 2012 are gone. J.P. Howell remains available but competition is fierce for his services. Ladson says it all depends on his health. 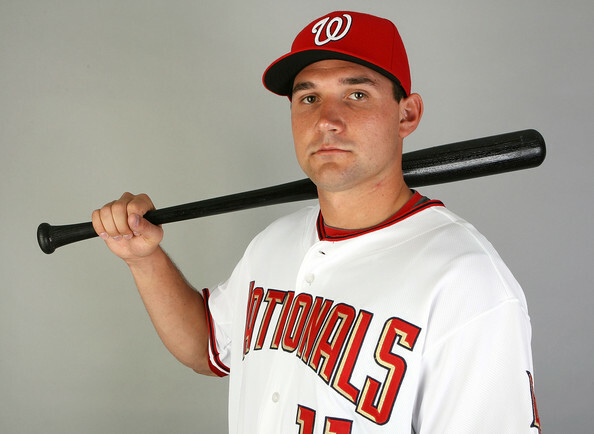 Q: Should the Nationals be concerned with the way Ryan Zimmerman was releasing the ball at the end of 2012 season? A: Yes. They should be concerned with the way he’s been throwing the ball for several years now, AND they should have been concerned with the effects of the shoulder injury that was bothering him all season. Off-season surgery fixed the latter part. As for the former … I think its just inevitable that Zimmerman moves to 1B. At some point I feel his arm action is going to turn into some sort of Chuck Knoblock mental block. Ladson reminds of Zimmerman’s surgery. Q: Why don’t the Nationals just give Adam LaRoche a third year? If things don’t pan out by the third year, the team could trade him. A: Good question. The core of the team is locked up for 3 more years, why not extend the offer? I think perhaps the answer relates to the massive amount of arbitration salary the team is looking at by 2015. They might have 12-13 arbitration cases with escalating salary by then. And its no guarantee to be able to trade Adam LaRoche in 2015; what kind of return would we get? We’d likely get marginal prospects AND have to pay most of his salary. I’m not even mentioning the obvious; he just turned 33; do you want to guarantee a 3rd year 8-figure salary to a 35-yr old? Isn’t that exactly the kind of contracts that are killing the Phillies right now? Plus, signing LaRoche locks of 1B for 3 years … meaning no room for Moore for 2 more years AND no room to move Zimmerman if his arm turns into mush. I know the team likes LaRoche, but it makes more sense for the future of the team to let him walk. Ladson echos my comments on age and having to eat money on a trade. He also mentions that the team would like Matthew Skole at first by 2015, which I don’t necessarily think will happen (but we’ll see). 2. 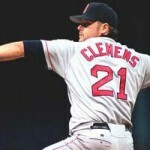 Biggest/Best/Worst Free Agent signings in Nats History (November 2012). Here’s Part 3: looking at the Biggest, Best and Worst Draft picks the team has made since arriving here in Washington. 2. Related to #1; Mike Rizzo, whom Bowden hired in July of 2006, may not have been the Scouting Director but he certainly had a say in the drafts (coming from a scouting background in Arizona). I’ll list scouting directors tenure here as well, related to #1 and #2. But, it probably isn’t going to be entirely fair to the GM to say that such-and-such a pick was “good” or “bad” if it was actually being done by his staff. 3. It is entirely “hindsight is 20/20” in nature. But, it is what it is. If you draft a 1st rounder who flames out in low-A, he’s a failure. If you draft a major leaguer in the 21st round, he’s a fantastic success. Mostly here in judging the “best draft picks” I’m looking for value in later rounds. As it turns out judging “worst” draft picks mostly will be around first round busts. The quintessential Nats Draft resource is the Draft Tracker Spreadsheet, initially created by NatsFarm.com’s Brian Oliver and now maintained by “SpringfieldFan. ” It has all our draft picks, where they came from and signing bonuses. A file I’ve kept recently (The Draft Prospects Worksheet) is a file I started to create when the Nats started getting some upper-end draft picks as a way to track who we may take. Lastly, you can query the entire amateur draft results per team at baseball-reference.com (the link will go to the 2009 draft by way of example). Bowden’s Biggest Draft Picks (in terms of dollars committed). 2005 11th rnd: John Lannan out of Siena College. A durable and servicable lefty starter with MLB average numbers out of a small college in the 11th round is a great find. 2005 12th rnd: Craig Stammen out of Dayton. He didn’t look as if he’d be successful until his transition to the bullpen, where his arm action and movement have baffled hitters during his shorter reliever stints. 2006 41st rnd: Brad Peacock out of a Florida HS as a “draft and follow” guy (which enabled teams to take late round fliers on good talent, so this isn’t exactly the same as finding a true 41st round player who made the majors, since Peacock likely wouldn’t have been taken without the DDE rules in place and would have been an upper round draft pick the next season he was eligible). 2007 2nd rnd: Jordan Zimmermann out of U Wisconsin Stevens Point (not because of his draft position, but because of the scouting out of such a small school). Zimmermann survived TJ surgery and now looks like a hidden Ace in the making. 2007 4th rnd: Derek Norris out of a Kansas HS: possibly the best HS player the team has drafted since arriving in DC. 2008 10th rnd: Tommy Milone out of USC. Rizzo may not have rated him, but he looks to be in Oakland’s rotation for many years to come. 2008 16th rnd: Tyler Moore out of Mississippi State. Scouts continually have downplayed Moore’s power; I have never read a scouting report on Moore that didn’t focus on “holes in his swing” or “defensive liabilities.” All he’s done is mash the ball at every level he’s been challenged with in his career. 2008 19th rnd: Steve Lombardozzi out of St. Petersburg JuCo. Despite his pedigree (his father played in the Majors in parts of 6 seasons), Lombardozzi was lightly pursued and surprisingly signed as a late round JuCo draftee. He’s scraped his way to the top though and could find himself starting if the team decides to move Espinosa. Despite the issues at the top of the 2008 draft, it may have been Bowden’s best. He took no less than 6 guys who now are on 25-man rosters in this league (Milone, Moore, Lombardozzi, Espinosa, and Crow). 2005 wasn’t bad either, with 7 guys that have MLB appearances (though only 3 remain with the team). 2006: almost the entire draft. Bowden blew the first 6 picks on high schoolers, the best of whom was Chris Marrero, who has contributed -0.7 WAR in his career thus far. First round pick Colten Willems flamed out and just gave up playing in the middle of the 2010 season, Stephen Englund was released (but not before earning a 50-game suspension for Amphetemine usage), Sean Black didn’t sign and Stephen King has yet to succeed above A-ball despite being in his his 6th pro season (and, just for good measure, had his own 50-game drug suspension in 2009). Only one player in the top 12 rounds of picks even played a day in the majors. Just a complete debacle of a draft. 2007’s high schoolers: Smoker, Souza, Burgess, and Smolinkski: all top 3 round picks, all busts. 2007’s Jack McGeary, who insisted (admirably) on also going to college, but probably at the detriment of his baseball career. I’m sorry; if someone pays you $1.8M dollars in cash, you probably should work for that money. McGeary never was able to master anything above rookie ball and was so under-valued by the team that they failed to protect him in the minor league phase of the 2012 Rule 5 draft (where he was subsequently taken by Boston). The 2008 Aaron Crow debacle. Yes I know that this pick turned into 2009’s Drew Storen. And yes I know that Crow has now been turned into a middle reliever while Storen has turned into an effective closer. At the time, this move helped continue the “incompetent” labels that the organization was earning, as Bowden reportedly refused to negotiate with Crow’s agents and failed to do his due diligence before drafting the player. Who is to say whether Crow’s electric arm wouldn’t have turned into a regular rotation member in our organization (Kansas City doesn’t exactly have a stellar record of developing pitchers). In the end, getting Storen and also not losing the opportunity cost of missing a year’s development time of a first round pick (by virtue of the rest of the team being so awful) ended up not hurting the team. But it still goes down as a draft failure for Bowden. Rizzo’s Biggest Draft Picks (in terms of dollars committed). As we saw with the Free Agent post, Rizzo clearly had more money to work with from Ownership than Bowden did. Spending $2M on a 4th round pick (AJ Cole) would have been unheard of in the Bowden reign. 2009 12th rnd: Nathan Karns out of Texas Tech: Karns got 4th/5th round money in the 12th round but has been bedeviled by injuries until this year. 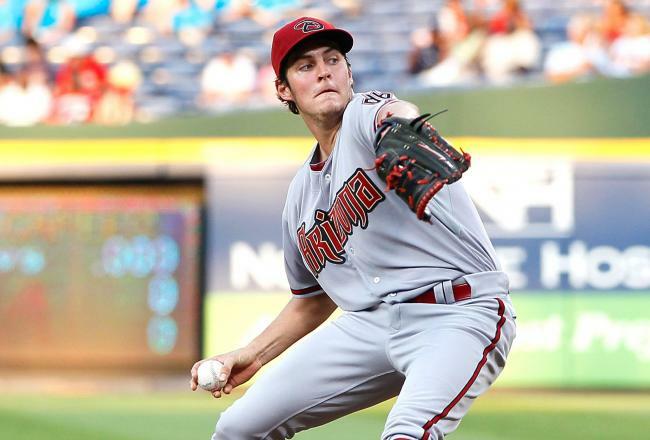 By now we know what he’s capable of; our organization’s Minor League pitcher of the Year earned a spot on the 40-man roster and could be in line for a 2013 late season call-up. It could be too-early to tell, but right now this is looking like one of Rizzo’s best. 2009 22nd rnd: Danny Rosenbaum out of Xavier; despite the team not protecting him and losing him in Rule-5, he had come out of no-where to be one of our best pitching prospects. 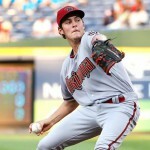 2010 12th rnd: Robbie Ray out of a Tennessee HS; he had a great debut and has been steadily rising up the ranks. The team was able to buy him out of a committment to the University of Arkansas by offering 2nd round money. 2010 22nd rnd: Cameron Selik as a U Kansas senior has made it to AA and looks like a great later-round steal, especially for a college senior this low in the draft. 2011 5th rnd: Matt Skole out of Georgia Tech looks like he could be an excellent hitting prospect and is making it into the top 5 lists of Nationals prospects. 2011 1st rnd supp: Brian Goodwin out of a Miami JuCo looks more advanced than anyone would have thought at this point, and could be pressing for playing time in 2013. I don’t normally give plaudits for 1st round talents, but the team aggressively pursued and captured Goodwin at a time when it looked like he was heading to UNC. 2009 2nd rnd: Jeff Kobernus out of Cal Berkeley. Perhaps less because of his production (which was mostly poor for his career), but moreso because the decision not to protect him and value your investment in the player, leading to his departure in the 2012 rule-5 draft. No worries for Nats fans: Rizzo drafted almost the doppelganger of Kobernus in 2012: again taking a 2nd baseman from California in the second round (Tony Renda). Lets hope it works out better this time. 2009 3rd rnd: Trevor Holder out of Georgia. A blatant punt on the draft pick to save money, Holder was a college senior with zero leverage and should have been offered closer to $1,000 instead of the $200,000 he got. Holder has struggled for years in our system. He did have a decent 2nd half in Harrisburg, so there is hope yet. But 3rd round picks should have more promise than Holder has shown. 2010 3rd rnd: Rick Hague out of Rice. He hasn’t lived up to his 3rd round billing yet, though (to be fair) he has struggled with some injuries. 2010 2nd rnd: Sammy Solis was looking promising out of U San Diego, but has been side lined by Tommy John Surgery. The 2011 college-arm gamble: Rizzo drafted dozens of college players this draft, stocking the system with experienced amateurs. 2012 1st: the Lucas Giolito gamble won’t play itself out for a couple of years, but it is safe to say Rizzo went “all in” on this player. A 1-1 talent but damaged goods upon drafting, the team is putting a lot of faith into its experience in dealing with hurlers going through Tommy John. 2011 3rd: Matt Purke got a MLB deal and a whole lot of money, and has done relatively nothing to earn it because of lingering shoulder injuries. I’m listing him as too early to tell, but the signs are not good. 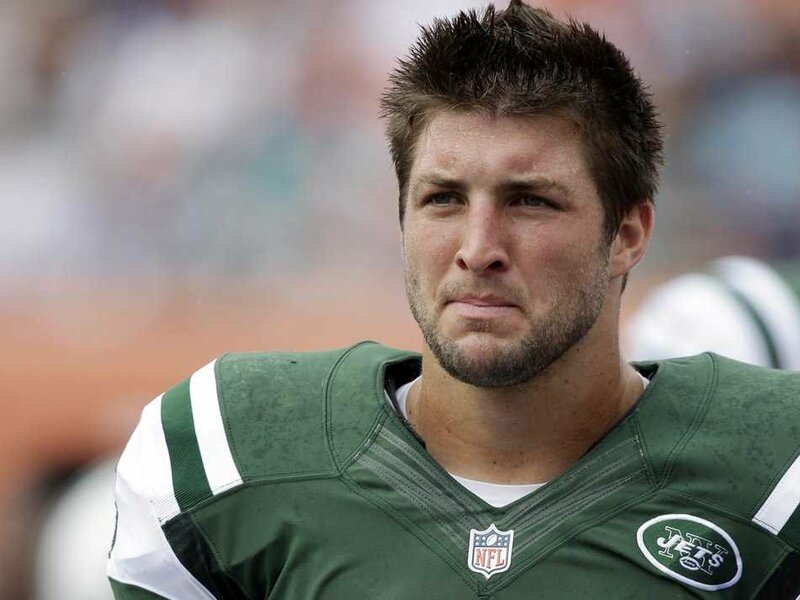 Off-Topic: Why are there so many Sports articles about Tim Tebow? The 3rd string quarterback of a mediocre NFL team is in the news, literally every day. Multiple times per day. 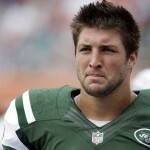 Why is there so much press surrounding Tim Tebow? Just this week, we learned he broke up with his girlfriend, that he’s disappointed about being passed over for the starting gig the last week of the season, that he could have run the wildcat if asked, that he may be heading to Jacksonville, that some ESPN analyst thinks he’s a fraud, that the Jets should just cut him now, and that he would have done whatever his coach asked him. Of the 50-someodd articles in my RSS feed just now, there were no less than 10 related to Tebow. Why?? Why is he constantly in the news? Is it because he plays for the Jets? I didn’t realize the Jets were such a newsworthy football team. Is it because he’s in New York and there’s just more sports media per square foot there than elsewhere? Possibly. Is it because the closest city to ESPN headquarters in New York and ESPN employs far too many columnists and analysts? Possibly. Is it because Tebow is a former Heisman trophy winner? Doubtful; there’s been numerous Heisman winners who were awful in the pros. Is it because he’s amazingly talented and people really thought he’d be the savior of the NFL? I doubt it; every analysis piece I read seems to come with stated opinions of just how mediocre a player he is. Can it stop? I’m really, really tired of hearing about him. Most ardent football fans couldn’t name the backups of most NFL teams outside their own rooting interests; why does sports nation need to know the every move of Tim Tebow?? Another edition of mlb.com’s Nationals beat reporter Bill Ladson’s Inbox, this time from 12/18/12. 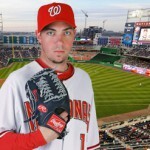 Q: Who will replace Sean Burnett as the lefty specialist in the bullpen? Q: Is there any chance of the Nationals getting J.P. Howell to fill Burnett’s spot? Do you think the club needs him? A: The Nats 2013 Loogy right now is likely to be minor league acquiree and former franchise 1st round pick Bill Bray. If he’s healthy, and if he makes the team. He’s the leader in the clubhouse right now, given the real lack of left handed relief in the farm system right now. Clicking on baseball-reference’s great franchise pitching depth chart, there’s really not a single viable option that pitched above AA still in the system (I like Patrick McCoy, who did decently in AA, but he wasn’t picked up in Rule 5, which implies to me that he’s definitely not MLB ready). Zach Duke seems set to be the Tom Gorzelanny replacement; the long-relief/spot-start/mop-up guy, and not necessarily the one-out guy. The team is still involved with rumors of signing J.P. Howell, and of course could still re-sign Michael Gonzalez, who did so wonderfully for is in 2012. However, lots of teams are in on lefty specialists right now and we may get out-bid. I’m partial to Bray; he is a Virginia guy, went to William & Mary, and is the cousin of a buddy of mine (who, when I saw him last weekend, promised to have access to tickets if Bray makes the team). Lets cross our fingers (stated completely selfishly). Do we “need” Howell/Gonzalez? I don’t know if we “need” another lefty, but I’d like another lefty in case Bray isn’t ready to go. So I’d like to see another acquisition of someone for depth. I think the bullpen looks better with a second lefty late-innings guy. Ladson wrote almost exactly what I just wrote, naming all the same points. Q: When looking at the 40-man roster, could you tell me what Yunesky Maya has to offer? A: Maya still serves as last-ditch starter help, in case of a rash of injuries at the MLB level. Despite his poor performances in two prior MLB stints, he’d still be preferable to other career minor league veteran options we probably will have in AAA this year (thinking the likes of Roark, Broderick, or Mandel). His salary is guaranteed; we might as well keep him around as insurance. If you’re looking to complain about a 40-man spot being wasted, look no further than Carlos Rivero. Ladson calls the Maya signing Mike Rizzo‘s worst, and says the same thing I do about starter insurance. Q: Who do you think has more of an upside: Michael Morse or Adam LaRoche? A: An oddly worded question; I’m not sure either guy truly has upside at this point in their careers. Michael Morse is in the last year of a contract, his sub-par defense has him outside of Rizzo’s vision of a pro-defense team, and there’s no guarantee that his 31 homer performance in 2011 wasn’t a complete one-off. Adam LaRoche is already in his decline years and any guaranteed money is considered a big risk. The best thing to do for the team would be to get LaRoche to return on as short of a guaranteed contract as he’ll take, and to flip Morse for some farm system depth (vastly depleted in the last 14 calendar months). But, life isn’t that simple. LaRoche has to be thinking for himself, and knows that this is the best and last time he’ll have to earn an 8-figure guaranteed deal. So he has to max things out. If someone else offers him 3 guaranteed years, he just has to take it. He’ll never get $13M/year offered to him again. Which would leave Morse in a contract year playing an easier defensive position (1B), and hopefully being 100% healthy he puts up another 2011 season. Ladson is a pro-LaRoche guy. Q: Considering his last outing in the postseason against the Cardinals, is Drew Storen the Nationals’ closer entering Spring Training, or will he have to win the job? A: One badly timed blow-up won’t cost Drew Storen his job; he earned it back after taking a back seat to Tyler Clippard all summer, and that’s how things will stand going into 2013. Clippard really struggled down the stretch in the role, and I cannot see any spring training competition at this point. One thing that wouldn’t surprise me would be a trade though; only one guy can close, but both Clippard and Storen are closer-quality arms. It could be lucrative to the team in terms of prospect depth to move one or the other to a team in need of a closer (and a team that values saves). This move may not occur until next off-season though, when Clippard’s salary expectations will be far higher than the team may be willing to stomach for a non-closer. Ladson says he expects Storen to be 100% and to get 30-35 saves. Q: Burnett, who was a valuable asset in the bullpen, signed a two-year deal with the Angels. Couldn’t the Nationals have matched that kind of deal? A: Yes they could have matched the Angel’s offer for Sean Burnett; it really wasn’t that much money. But, by saving a few million here and there suddenly you have enough to buy a front-line starter. That’s the right way to build a team in a fiscally responsible way. That being said, I think perhaps the team was surprised that Burnett “only” signed a 2 year deal, given Jeremy Affeldt‘s 3 year contract for more money (Burnett’s deal has a 3rd year club option). But Rizzo belives in the same thing that I believe in; bullpen arms are a commodity, can be found for relatively little money and you can get great performance for your dollar. Think about Gonzalez last year; he was a minor league signing mid-season, and he posted a 132 ERA+ for us in 35 2/3 innings. I think Bray could absolutely be this year’s version of Gonzalez. Ladson has a good point: he thinks the Nats were slightly scared off by Burnett’s off -season elbow surgery and didn’t want to guarantee 2 years. Q: Johnson’s favoritism drives me crazy, and I’m weary of reading about him trying to coax LaRoche into signing. Doesn’t favoritism bother the rest of the team, perhaps cause discord? And does the ballclub truly believe LaRoche can achieve the same numbers next year? I am dubious. A: A great question; I’ve said in the past that Davey Johnson‘s overt recruiting of LaRoche in the media has to be grating to Morse. If LaRoche signs elsewhere, I would absolutely believe there may be some discord in the clubhouse between Morse and Johnson that will need to be addressed. Other readers on this blog don’t necessarily believe this is the case, saying that Morse has to know that “its a business.” But how would you feel if your boss was overtly recruiting your replacement? I’d be pissed. Can LaRoche match his 2012 numbers in 2013? Sure. The odds are against him though. Its more likely to expect declines in production natural with his advancing age. Ladson says the players love Johnson and would never question him, but didn’t even mention Morse’s name. Q: Do you think Ian Desmond can pull off another incredible year in 2013? A: Sure! Do I think Ian Desmond could also regress at the plate to his pre 2012 numbers? Yes I do. I really have no idea what to expect out of guys like Desmond and Roger Bernadina, who both had career years and significantly improved their offense over their career norms. Are these one-time improvements? Meanwhile, a guy like Danny Espinosa is in the reverse situation; he’s regressing year to year, and needs to make a leap like Desmond made. Predictions? I think all three players stay roughly where they are, Espinosa starts losing ABs against lefties to Lombardozzi, and Rendon starts to force the team’s hand by tearing up AAA in early 2013. Ladson is really pro-Desmond, saying that he’ll go down as one of the great short-stops in baseball. That’s heavy praise. Another Ask Boswell edition, dated 12/17/12. As always, I type my response here before reading his answer (which sometimes leads to non-answers, since Tom Boswell sometimes doesn’t directly answer the same question i’m answering), and I sometimes edit questions for clarity. Q: What is it going to take to settle this MASN Mess? A: Probably a huge check to Peter Angelos to buy out his 90% stake in MASN. But I like the approach baseball is taking; clearly Angelos has himself an incredibly one-sided deal, and clearly the whole “we’ll renegotiate in 5 years” turned out to be a gigantic mess. Because its now drug on for more than a year with Angelos predicably low-balling the team while other teams out there get multiples of millions of dollars more per year than the Nationals are getting. Wendy Thurm at fangraphs.com posted a great review of all 30 team’s RSN contracts. For comparison purposes the next closest Market sizes to Washington (based on 2008 MSA) are Miami and Houston. Miami gets $18M/year in a very bad deal, Washington is getting $29M/year, and Houston just negotiated a $80m/year deal. Detroit, which is smaller still than Washington, is getting $40M/year in an old deal that expires in 2017, though they’re likely not to rise too much because of the economic conditions of their market. What does all that mean? Clearly Washington is no New York/Boston/Los Angeles, but clearly the team needs more than $29M. I hope Fox Sports comes along, buys out Angelos and negotiates individual terms with the two franchises. Will it happen? Probably no, probably never. Perhaps the solution will be a change of ownership in Baltimore, and Bud Selig (or whoever the commissioner is at the time) tacks on a clause of the switch to split off the RSN. I could see that happening. Boswell says it will take time, anger, and maybe even Selig imposing his whole “best interests of the game” clause. Q: Who has the most frightening lineup in baseball ( Angels, Dodgers, or Blue Jays)? A: Hmm. The Angels now feature no less than SIX guys who have hit 30 homers in a season; Trout, Pujols, Trumbo, Hamilton, Morales and Wells. That’s some incredible offense (even if Vernon Wells‘ time is past). The Yankees and the Rangers were 1-2 in Runs Scored, Slugging and OPS in 2012 but both will be weakened by injuries and FA defections in 2013. The Dodgers lineup “seems” potent, but includes a significant number of question marks. If everyone plays to their potential, then yes the Dodgers could be fearsome. But its more likely that Crawford struggles and that Adrian Gonzalez continues to appear as if his best days are past. Lastly Toronto may have a great middle of the order but they can’t match the Angels for up-and-down the lineup power. The additions of Jose Reyes and Melky Cabrera aren’t going to help them catch the Angels. Boswell says Toronto is best. Q: With Hamilton->Los Angeles, are the odds of LaRoche leaving higher? A: I think the ongoing stalemate over contract length plus Texas suddenly being majorly in the market for a middle-of-the-order lefty bat to replace Hamilton should have Nats fans worried (or rejoicing, depending on your viewpoint) that Adam LaRoche may be plying his trade in Dallas the next few years. I would not be surprised to see LaRoche sign a 3 year deal in Texas right now. Is that the end of the world for the Nats? No … I think the team will do just fine with Michael Morse playing first and Tyler Moore getting backup reps in LF and at First. Others have pointed out that Morse’s lefty/right splits are nearly identical and it doesn’t matter that we wouldn’t have another lefty in the lineup. And (not that the average fan cares about this point) it would save a bit on payroll, perhaps allowing the team to augment/buy something they may need at the trade deadline. Q: With all the FA stars seemingly ending up in the AL, are the Nats better just by attrition? A: A fair point. But the NL Dodgers have certainly bought their fair share of talent too. As a Nats fan, you have to be happy about the decline of our divisional rivals in the past few months: Marlins fire-sale, Mets basically turning into a mid-market team (and traded away their Ace in RA Dickey this week), and the Phillies making one curious acquisition (Michael Young) after another (Ben Revere). Washington has improved this off-season, and if they can stave off the injury bug that hit the offense last season they could improve on 98 wins in 2013. But I also think St. Louis will be just as good, I think Cincinnati has improved, and of course the Dodgers could be scary if all their talent comes together. Boswell thinks so, but also has stated before that the WS now goes through Los Angeles. Q: Is there something amiss in the MASN contract legally, since Angelos has not accepted what should have been stipulated in the contract? A: It sure seems so. Ever since Angelos got the team, his legal background seems to have Selig spooked. I wonder if this is why Selig has not pressed more for a solution to this situation. Boswell thinks that the search for a MASN buyer could be indicative of a permanent stalemate in the contract talks. Q: Will Philadelphia fans forgive Lannan for breaking Utley’s hand? Should the Nats batters be worried when he returns? A: Yes the Philadelphia fans will forgive and forget; remember, most fans just root for the laundry. Whoever is wearing the jersey is a friend, everyone else is foe. 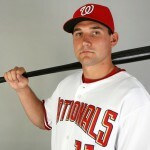 I don’t think our batters should be too worried; I’m sure they look forward to facing John Lannan. 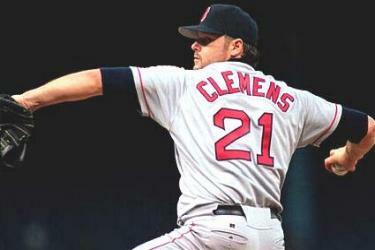 He’s not exactly the second coming of Cy Young after all. Boswell says that Chase Utley brings the HBP on himself by virtue of his hitting too close to the plate. Q: You’re Mike Rizzo: Do you have another big move up your sleeve, either a trade of a FA signing? Or are you satisfied with what you’ve got, and standing pat? A: I don’t think the team has any more major moves; Mike Rizzo left the winter meetings early because his work was done. I can see a couple of players getting moved for prospect depth, and perhaps an under-the-radar signing for a right handed reliever to compete for a spot in spring training (ala Brad Lidge last year), but that’s it. This team is who it is right now. Well, once the LaRoche situation is resolved anyway. Boswell agrees. Q: Who you got for more wins this year, Angels or Dodgers? A: Dodgers. Easier division, more talent added. The Angels have to deal with both Oakland and Texas, and look to have a significantly worse rotation so far in 2013. The Angels can’t improve much from 89 wins, but the Dodgers can definitely improve on 86 wins. Boswell didn’t really answer; he says both make the playoffs but neither makes the WS. Q: Was it the # of Years that convinced Hamilton to go to Los Angeles? A: I think it was partly a sense that Josh Hamilton felt he wasn’t wanted in Texas, and then mostly from there the right destination in terms of team and guaranteed dollars. Some cynics out there in the baseball world say that the team doesn’t matter; that players only follow the money. I don’t believe that necessarily. Money issues equal, If you had to choose between a franchise on the brink of the playoffs, in a warm-weather city like Los Angeles versus a team that hasn’t contended in years in a crummy weather city (thinking Seattle, another rumored destination), where would you choose? Boswell says Hamilton isn’t worth 5 years but didn’t answer this part of the question otherwise.